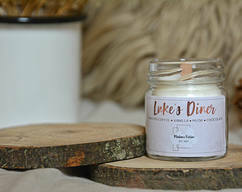 Take a trip to Dragonfly Inn whenever you want with this fruity, cosy candle! You'll feel at home in Sookie's kitchen in the middle of a crisp fall day. 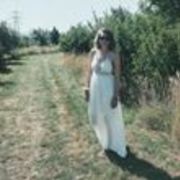 Scents: red apple, peach, caramel, vanilla, sugar. Materials: Glass jar, soy wax, fragrance oils, wood wick. Size: 1.5oz of fluid wax. Jars weigh about 3oz. Each candle has been hand poured in small batches so each candle may vary slightly but this will not affect the scent or burn of the candle. Please note that this is a sampler candle and therefore only gives an idea of what the 8oz performs like and does not match the same intensity. 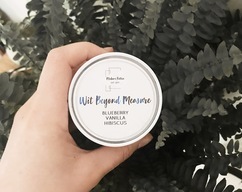 Use: Soy wax burns clean and is great for the environment. 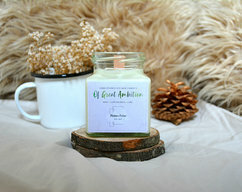 These candles have a great scent throw, so sit back, relax and let the scents fill the room. When you first burn the wood wick, it might flicker out once before it reaches the wax so just relight and it will do its job from there. 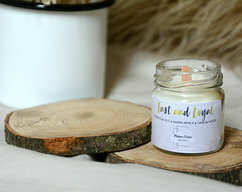 Please note that because of the proteins in the wood wick, some discolouration of the wax may occur but this will not affect the burn quality of your candle. Burn time: 12 hours approx.